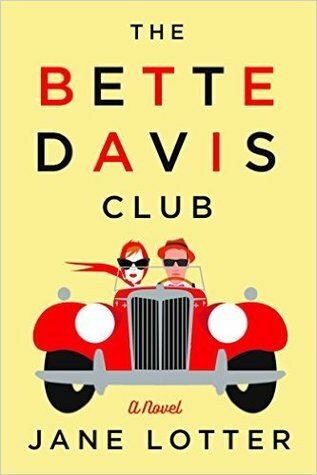 A review of The Bette Davis Club by Jane Lotter. Post may contain affiliate links. The Bette Davis Club starts with a wedding. The wedding of Margo’s niece, Georgia to her fiancé Tully. The only problem? Georgia as run off, leaving Tully as the jilted groom. Margo’s half sister, Charlotte offers Margo sixty-thousand dollars to bring Georgia and her things back. So Margo sets out with Tully in a borrowed 1950’s red MG to find her niece. The book reads like a romantic comedy and it would be fabulous made into a movie. All of the characters are quirky and the dry sense of humor that permeates the book is perfect. Like all good romantic comedies, there is even a bit of slapstick thrown in. The perfect feel good, romantic comedy. I do hope someone makes it into a movie. I loved all of the characters, even Georgia, who was not easy to like. Very interesting title – sounds like a great read! Especially it would make a great movie. Have you ever read books by Nicholas Sparks? Thanks fur sharing and Happy Mew Year. -Katie and the Katz. It was a good read. Would you believe, I have never read a Nicholas Sparks book! Thanks for sharing, Pam…Happy New Year to You and Yours!! !